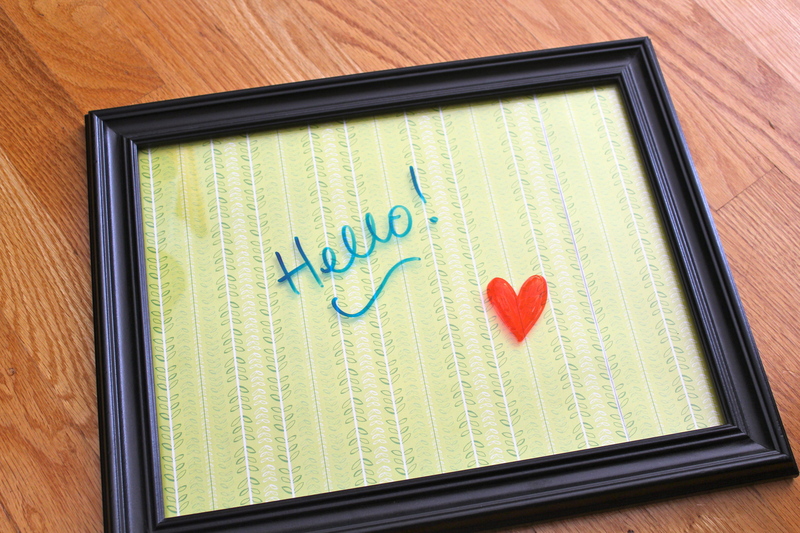 I had bought this picture frame for another Pinterest project…similar to this, but ended up going with a white frame. So, 2 years later…I find the frame and wondered how I could use it…and then I remembered a pin! 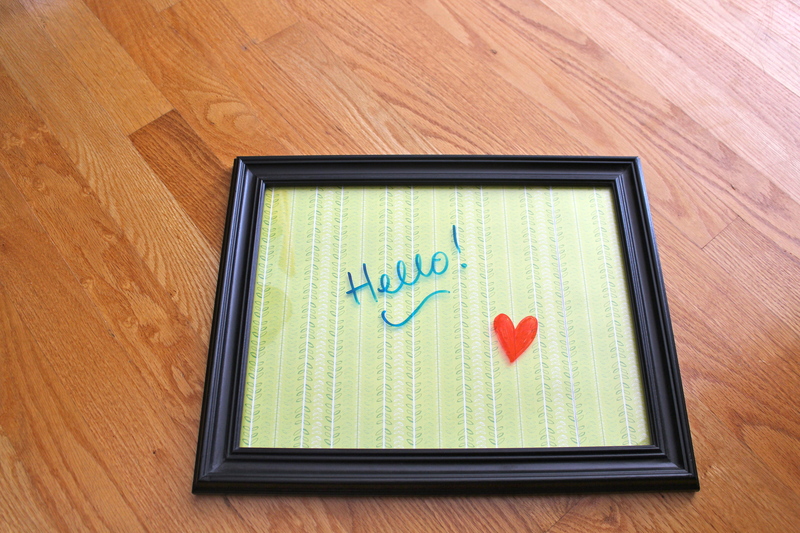 Just added some scrapbook paper in the frame and voila!